One thing I missed when we went dairy-free and low-fat was ranch dip, so I came up with this Homemade Vegan Ranch Dressing, and it hits the spot every time! Let’s face it. 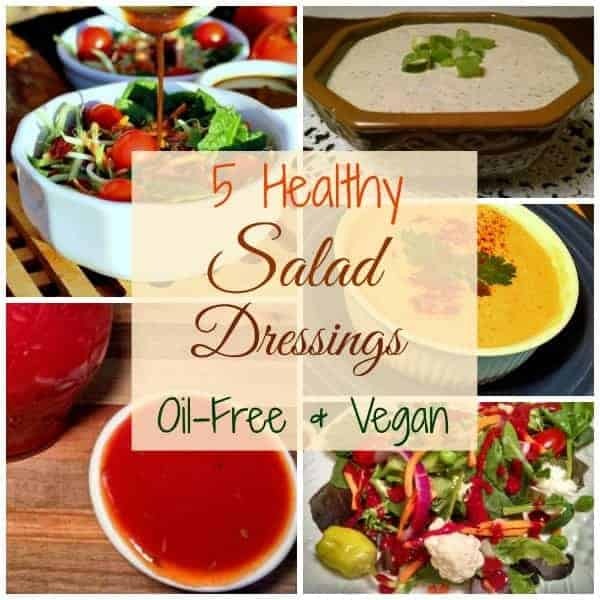 The store bought vegan ranch dressings are either loaded with oil and fat, or they taste odd. Though I have looked far and wide, not a single bottled ranch dressing have I found to be satisfactory. That’s why I decided to come up with my own recipe. The base is my Low-Fat Eggless Mayo recipe that is made with tofu. 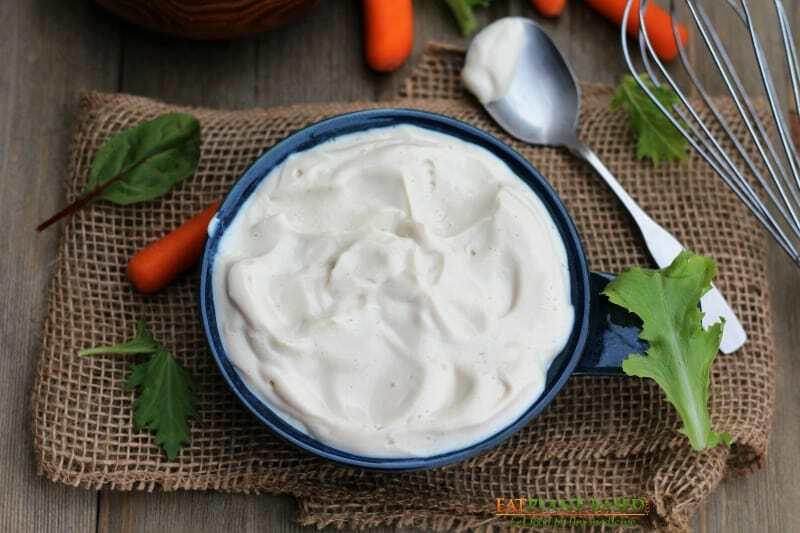 Low-fat eggless vegan mayonnaise is easy to make and so delicious. Click photo to see recipe. 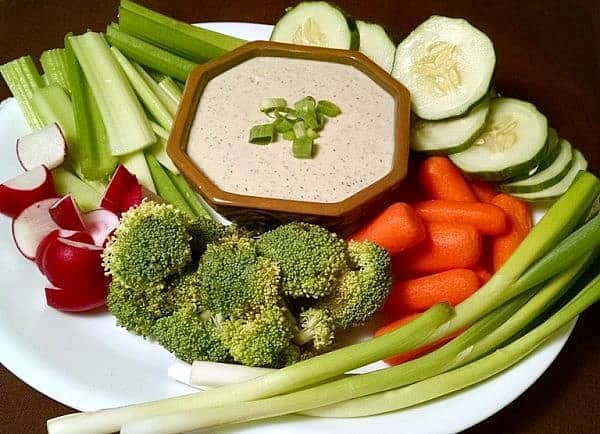 One great thing is that there is absolutely no cooking required, so this dressing/dip can be ready in just a few minutes. Simply whisk all the ingredients together in a bowl. Add spices like basil, onion and garlic powders, dill, chives, and black salt. The combination is creamy and delectable! Chill in refrigerator for a couple of hours to allow to thicken. 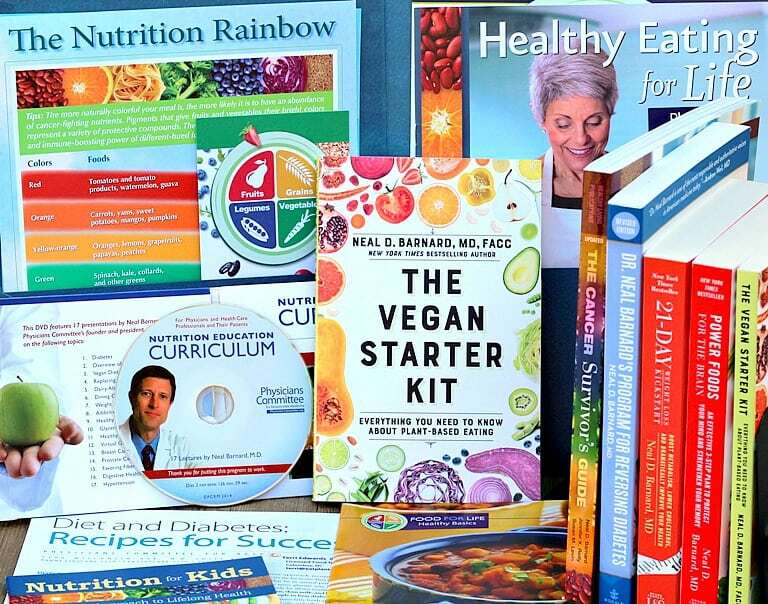 Store in the refrigerator in a sealed container for up to 10 days. 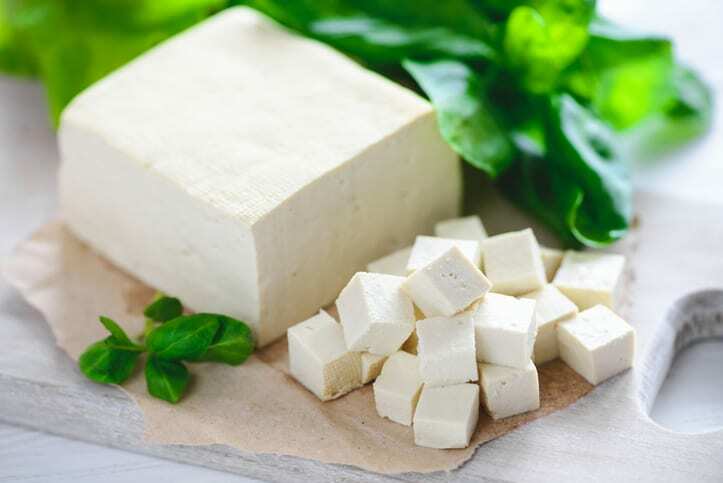 Tofu contains protein and calcium. 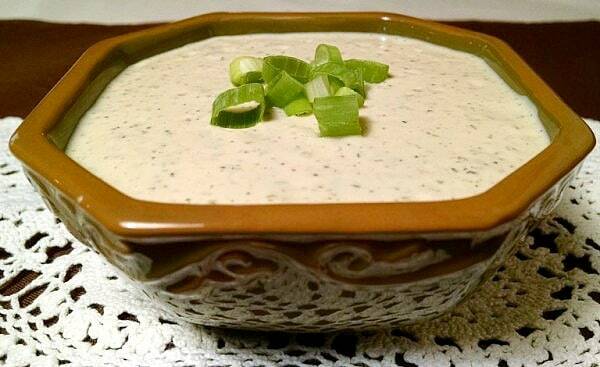 Creamy and cool, this is an excellent salad dressing or dip for piles of veggies! 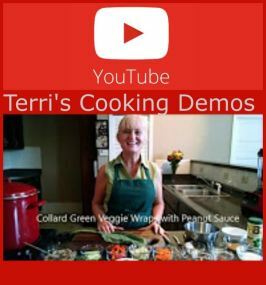 Serve with a veggie tray or on salad. In large bowl, whisk all ingredients together until smooth. Serve over greens as a salad dressing, or as a dip for endless veggie options. Easy Eggless Mayo recipe linked here and above. Served on a salad or veggie tray, this stuff is delicious! Sound delish! 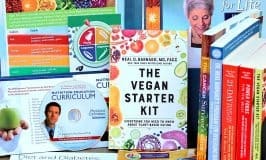 I would, though, like to suggest draining the tofu by placing it in a non-metal drainer or over a cotton cloth in any strainer or colander, placing another cotton cloth or plate over the tofu, and weighting it with a plastic bag filled with water. This way you will avoid wasting trees and leaching toxins from bleach (unless you use recycled paper unbleached towels, of course) and plastic into the tofu. I look forward to trying this healthy recipe. Thank you! Very tasty. Take the plunge and add the black salt. Made it taste like buttermilk based ranch dressing to me. get black salt, is that what it is called? It is also called Himalayan salt and can be found at many grocery stores, and most definitely at Earth Fare, Whole Foods, and other health food stores. This is by far the best plant based Ranch I have made. Wonderful! That’s fabulous to hear! Thanks so much for the great feedback! This looks so good. The silken tofu I’ve found in Australia is very soft and ‘wobbly’, your picture shows a very different tofu. I’m a little confused as to which tofu i should use. 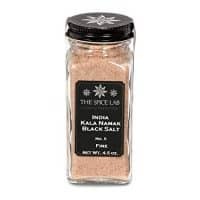 Also, is the black salt the Indian version, aka kala namak? I pretty much have this recipe memorized off by heart. My mom was super impressed as I whipped up some ‘homemade ranch dip’ as she called it as a last minute thought for a dip. So good. That’s so awesome to hear! So glad that you and your mom like it so much. 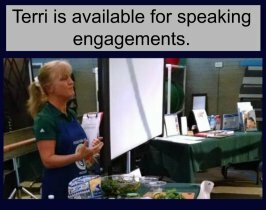 It has so many different uses–dip, salad dressing, etc. Thanks for the great feedback!